Making winning trades and making profit from trading over the long term is more than having the right trading platform. Sure, without the proper tools on your desk you won’t be able to enter the orders that your trading strategy suggests, and unless your trading platform gets you in and out of the market quickly you could end up executing your trades at the wrong price, or, worse still, miss executing altogether. Behind your buy and sell orders will be your trading strategy, and as a trader I’m always looking for a winner. 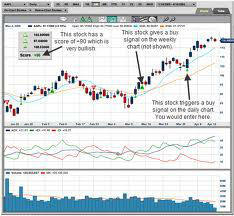 The more information I have at my fingertips, the more convinced I am about buy and sell signals. The trouble is that I find I use several different screens, trade platforms, data suppliers, and chart tools, to gather all this information. And that cuts down on my trading time. But I’ve always considered it a necessary evil of trading for a living. So when I was introduced to Market Club as a tool for the trader who wanted to become better informed, better educated, and with a proprietary trading strategy that it opens up to its members with buy and sell indicators on customizable charts, all in one place, you can understand my skepticism. The first thing that struck me about Market Club as I watched the promo video – downloaded directly from its website ino.com – was how easy it made the system look. Once you have logged on, then everything is navigated to from your Market Club homepage. There are widgets and buttons around the screen to make this easier, and clicking on them takes you to charts, chart analysis, and data central. At the bottom of the homepage, you find your portfolio, which is easily customized from either the portfolio window itself or from the main window. Each instrument that you add is added to your data center, and alerts and you can also access the chart, analysis, and data for each instrument easily by clicking on the buttons next to your symbol. You can access charts from the main screen, or from the portfolio window. The charts are real easy to customize, and can be switched between line, bar, and candle stick. Of course, you can change other parameters also, such as time frames and the changes happen instantaneously. The charting tool holds a pull down menu of your portfolio, so it’s easy to change instruments, and you can add different analysis such as Bollinger bands or Fibonacci’s and moving averages from the chart studies menu. These charts are easy to read, easy to use, and fully customizable. It’s one of the best chart tools I’ve come across in over 20 years. The system uses its trade triangle technology, and its algorithms combine its daily, weekly, and monthly buy and sell signals. The instrument is scored between +100 (strong buy) and -100 (strong sell), and the buy or sell triangle is shown on the chart. It’s a neat system, and can be combined with your own technical analysis, and doing so make the signals really effective. Of course, not all buy and sell signals are winners, but, refreshingly, Market Club acknowledges this in their publicity materials. One of the super cool things that Market Club has is the ability for a chart to talk to you. Just click on the speech bubble on the tool bar, and you receive a commentary on the latest move and signal. One of Market Club’s main tools is its Smart Scan technology. There are 24 criteria as to price moves, and then you choose the asset class you want to trade (e.g. equities), the stock price (e.g. above $10), and the type of chart you want to see (e.g. candlestick). Then choose the minimum volume you require, and press the create list button. You’ll be presented with a chart on each of the stocks that match your criteria. It’s like having your own, immediate stock picker. Every step of set up and use is accompanied by a clear and concise video, making using the system even easier. But more than that, Market Club posts as one of its key aims as trader education. It has dozens of seminars from top traders, each accompanied by a pdf workbook that you can download and view at any time. I never thought I’d say this about an information system in world where so much information is so freely available, but for me paying for this quality of information and charting capability is a no brainer. Market Club’s charges continually move up, I guess that’s supply and demand. But the cool thing is that its value is easily quantifiable. If it costs $250 per quarter, and the trades you make on the back of its trade signals make thousands, then it’s worth the expense. The bonus is the educational content, the traders’ blogs, the data service, and the ease with which it can be used. Sitting alongside my trading platform, I find that I’m turning to Market Club not just to confirm my own trade signals but to spot new opportunities. It’s a great tool for swing traders, not so for day traders. Market Club gives a 30 day money back guarantee, so if you’re not convinced after a trial period, you just claim your money back and give up your membership. Simple, like using Market Club.